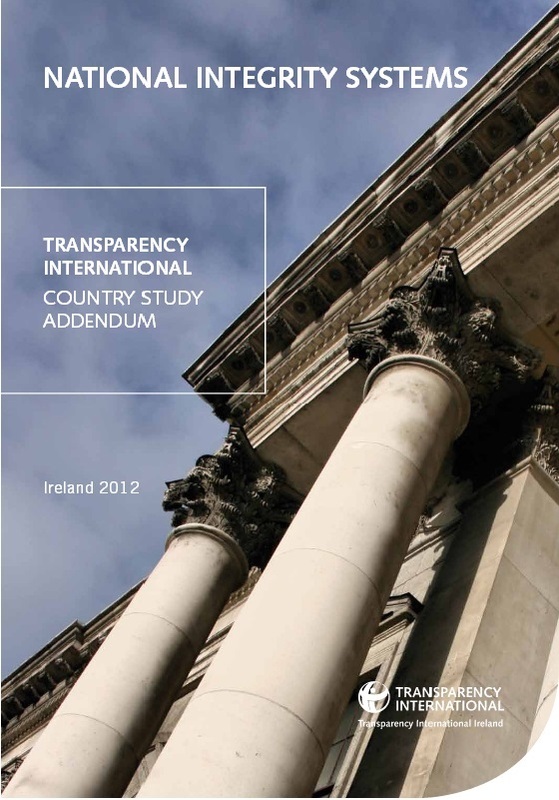 This report is an addendum to TI's 2009 NIS Country Study for Ireland. As a supplement to the original country study, this report provides an update on the current status of Ireland’s integrity system as well as taking stock of progress since 2009. This report is part of a pan-European anti-corruption initiative supported by the Directorate-General Home Affairs of the European Commission. The initiative aims to assess the National Integrity Systems of 25 European states and to advocate for reform in different countries.